Police have issued a warning after a man was conned out of £19,000 by fraudsters. Officers said scammers pretending to be police officers and other officials or tradesmen are currently active in the Crawley area. A 66-year-old Crawley man was swindled out of £19,000, which he paid out in several instalments to fraudsters when requested. Police said both phone calls and personal contact have been used to dupe victims and they are warning elderly or vulnerable people and their relatives about the scam. Banks in Crawley have also been put alert. 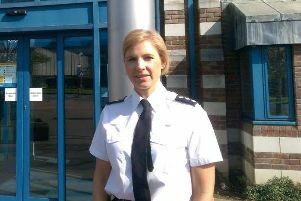 Detective Constable Gillian Sadler, of West Sussex Investigations, Crawley, said: “Unexpected demands for cash payments should be treated with the utmost caution and the credentials of callers should be carefully checked to ensure they are genuine. Anyone with any information is asked to contact police online or call 101, quoting Operation Signature.